In last week’s blog we discussed what home sellers can do during the approaching holiday season to increase their chances of selling their home in 2012. This week, we would like to shift gears and discuss what actions need to be taken at the end of the year to prepare for purchasing a home in the first quarter of 2012. Historically, February is the 2nd highest listing volume month of the entire year. Many industry experts believe this is because sellers have a propensity to wait to list their property until after the holidays. With that being said, home buyers should be preparing now to ensure that they are ready to move forward with the buying process when they find the home they want to buy. Therefore, one of the best proactive tasks a buyer can do is get pre-approved for their home loan…NOW to prepare for the first quarter home selling season. Also, it is important to note that in general banks are looking to get their inventory “of the books” by the end of the year. As we enter into the fourth quarter of 2011, you are more likely to find an amazing deal than any other time. It is critical that you and your REALTOR® practice the due diligence necessary to find these incredible year end deals that are scattered all over metro Atlanta. In closing, homes in metro Atlanta are being drastically reduced in price for a “year in clearance” if you will. Now is the time to make sure that you are set up for home buying success by taking the steps to get pre-approved for a loan. 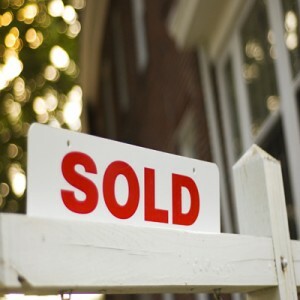 Paige Slyman is an expert is assisting clients in the home buying process. Call him with any questions and to get insight on the best ways to prepare to buy or sell a home. Give us a call at 770.405.0100 x 222 or email us at slymanfamily@comcast.net. According to historical real estate statistics and data, summer and spring see more real estate transactions than any other time of the year. Because of this, the months between April and August have been pinned the official real estate “buying season.” As the buying season begins its gradual decent into the real estate history books, many buyers have been left with the stark realization that they have yet to find the perfect home for their families. With the real estate market fostering prime conditions for buyer’s to take advantage of motivated and sometimes even desperate seller’s, many buyers can be perplexed as to why they haven’t found the “real estate gold” they have been spent the entire buying season searching for. A number of factors can contribute to a buyer having trouble finding the perfect home, especially in the midst of the busiest real estate transaction season of the year. These factors include limited school districts and neighborhoods, inflexible price ceilings and not being creative and resourceful in terms of how both you and your real estate professional search for your quest for the perfect home. Below are three critical tactics that should be implemented if you have gone through the height of the real estate season without finding your perfect home. Which school district a home is in is one of the top selling and buying points with anyone that already has or plans to have children. School zoning is so important in fact, that often times families are willing to pay premium prices to ensure their kids are able to attend a respected and high achieving school. Families are not very quick to leave a home in a great school district, thus, if you are looking in those districts, it might be harder to come across your dream home simply due to a lack of people leaving the neighborhood. If you have gone through the entire real estate season and not found the perfect home, it might be advisable for you to do some serious research about other schools in your area that might be suitable for your children as well. Opening up your search criteria to include other school districts could set you up for finding incredible deals and possibly your new home. Are you sitting down? If not … make sure you are because the statistic we are about to discuss is so incredible that it is sure to shock you. Did you know that for every 10,000 dollars you spend when buying a house, it only increases your month mortgage payment only extra 60 dollars per month? Often times, re-evaluating your price ceiling can open you up to an entire new selection of homes. Discuss your current price range with your real estate professional as they can guide and advise you as to what you can feasibly afford. Your real estate professional can also advise you as to what the extension of your current price ceiling will get you in terms of “more home” for your money and the number of homes it will put in your home search. Initially, most home buyers are very specific about what they are looking for in a home, some buyers more so than others. While having high standards and specific search requirements are necessary and advisable for any buyer, sometimes, it might be necessary to re-evaluate your requirements. Although we would never recommend that a buyer compromise their standards in terms of quality, it is sometimes advisable to access the specific requirements that you are placing upon both your real estate professional and the entire home buying process. For example, if your initial search was so specific that your real estate professional was not able to show you many houses due to minor requirements such as a specific color of a house, type of flooring or other aspects of your search that should not necessarily be a deal breaker unless your heart is dead set on a particular requirement, perhaps those requirements should be re-considered. Take a moment to review your requirements and access which ones can stay and which ones can go. In closing, as we approach the end of yet another real estate buying season, we recommend that any buyer that has not yet found the perfect home take a few moments and reflect upon their current real estate strategy. Having an open and candid conversation with your real estate professional about what is working and not working in your home search should be the first thing on your to do list. Re-evaluating what you are looking for in terms of a home can quite possibly open you up to a new world of real estate and possibly lead you to your dream home. The real estate market is similar to the stock market in that it is normal for the market to shift gears and switch from a seller’s market to a buyer’s market and vice versa. In other words, the current buyer’s market conditions will not last forever. If you ever wanted to purchase a home for any reason, now is the time. The present real estate circumstances, such as historically low interest rates and low home prices have fostered an environment that have set up both current and potential real estate buyers for success. The combination of all time low interest rates and unprecedented low home selling prices have made it possible for buyers to become a home owner for much cheaper than then current Metro Atlanta rental rates. In fact, Trulia recently came out with its rent vs. owning index, which shows it is currently more expensive to rent than own a two bedroom, two bath home in 72% ofAmerica’s 50 largest cities. Another explanation of the current rise in rental rates and decrease in home prices is supply and demand. Due to the massive foreclosure crisis, thousands of Atlantan home owners were forced to sell their homes at drastically reduced prices. These former home owners have now become renters. This increase of renters has lead to an increase in rental prices. Conversely, the increase in foreclosures has lead to a dramatic decrease in home prices. Thus, the timing is now PERFECT for home buyers to take advantage of the current prime real estate environment. Most experts do not expect the current low interest rates to last forever. Currently, potential home buyers can take advantage of historically low interest rates. However, factors such as impending mortgage reform and the fact that interest rates will increase as the economy improves come together to suggest that interest rates will eventually rise. Because the combination of both price and interest rates determine the overall cost of home ownership, it is imperative that anyone looking to buy real estate take advantage of the low interest rates while they are still available. Mortgage Rate Reform: 30 year mortgage a thing of the past? Over recent years, there has been a great deal of debate over the government’s role in assisting homeowners with home ownership. Many industry experts predict that if Fannie Mae and Freddie Mac’s roles in mortgage support are limited, it could be the end of the 30 year mortgage. The Obama administration wants to eliminate federal guarantees for home loans for all but credit worthy buyers. If a change such as this were to be implemented, it could make buying a mortgage more expensive. Thus, the 30 year, fixed-rate mortgage would not be as widely used as other mortgage types. Prospective home buyers should take advantage of the ability to lock in the incredibly low interest rates over the next 30 years. In closing, renting a home is the equivalent of having an adjustable rate loan with no cap that will readjust with higher rental rates each year. By locking in the current low interest rates, potential home owners can guarantee that the price of their living expenses stays the same, year after year. With that being said, low interest rates and dramatically low home prices have set the stage for Metro Atlanta home buyers to enjoy the benefits of home ownership. As the real estate market makes its way out of the debacle of the 2008 real estate market crash, the industry is in the midst of redefining fair market values and attempting to stabilize itself. As a result, there is an enormous amount of incredible investment opportunities for real estate investors in the metro Atlanta area. Under the guidance of a REALTOR® that is an expert in investment properties in your area, there has never been a better time to purchase real estate for the purpose of investing for a return on investment. Paige Slyman is an expert in metro Atlanta real estate and has over 15 years experience investing in property himself as well as guiding clients in making real estate investments. In a sense, Paige Slyman will act on your behalf as your advocate for your investment to ensure you get the best deal possible. A multitude of factors have made this an unbelievably good time to invest in real estate. Factors such as low interest rates, high competition among renters and home prices being at an all time have all come together to make this a definite buyer’s investment market. If you are able to find a property in a good rental neighborhood while the market prices are still low, then you are setting yourself up for potentially making huge returns when the market does recover and prices begin to rebound. It is imperative that you consult with an area industry expert on your real estate investment endeavor. Not doing so could wreck havoc on your plans to make money from the investment and cause you more trouble than success. Paige Slyman is an expert in the metro Atlanta real estate market and can effectively and efficiently guide you in what properties will maximize your return on investment and be most beneficial to you as an investor. In fact, Paige is so trusted in the metro Atlanta market that his sale averages literally blow the industry standards out of the water. For instance, the median annual transaction for the average REALTOR® is 6, while Paige averages 40 transactions per year. When you are working with Paige Slyman you can trust you are in good hands. -Advice on what neighborhoods in Metro Atlanta are most attractive to renters. -Advice on the current fair market price of the property. -Ensure the property(s) are not in violation of housing codes. -Ensuring that the property has been thoroughly inspected for structural/mechanical and radon/ hazardous materials and that the inspection is included as part of your purchase agreement. -Heating and plumbing maintenance and repairs. -Provide professional and accurate costs estimates for any and all renovations that will be needed. Because maximizing your return on investment is your number one concern as a real estate investor, it is essential that you make a decision that makes financial sense for your specific situation. Paige Slyman advises that all investors do a cash flow analysis for the next few years to ensure that purchase is a wise decision and within your own personal financial scope. Home owners and real estate investors can take advantage of significant tax advantages as well. In closing, when choosing a real estate professional to guide you through the process of investing in real estate, it is advisable to do research and make sure you are choosing a professional with a proven track record. Paige has become an industry leader and his records speak for themselves. A few of his most notable accomplishments include averaging 4.5 million dollars in annual gross sales per year when the average REALTOR® averages roughly 1 million per year. On that note, the median years in real estate for the average REALTOR® is 7…Paige is approaching his 15th year serving the Metro Atlanta real estate market. His dedication and expertise is unparalleled among anyone in the industry. Contact Paige Slyman today to begin the process of determining real estate investing is right for you. He can also answer your questions and inform you on what types of concerns and criteria you should you be familiar with before you take the plunge into rental property ownership. You’re dream of being a real estate property investor is within reach and there has never been a better than NOW to invest. After years of dismal housing market news and perpetual headlines of lenders making it difficult for real estate buyers to purchase, we are finally coming into one of the best times in history to purchase a home. The housing market in the Atlanta metropolitan area has become one of the best buyer’s markets in the country due to an influx of heavily discounted homes, low interest rates and motivated sellers eager to make a deal. Because conditions are favorable for buyers, it is imperative that home buyers work with a skilled and knowledgeable real estate professional that can guide them through the process. Paige Slyman is an Atlanta real estate expert with over 15 years serving the area. Known for his extensive industry experience and strategic approach, Paige is sought after for his assistance in serving and protecting clients in the home purchase process. He also specializes in advising clients on which areas to purchase in and NOT to purchase in. By focusing on areas that are forecasted to increase in value, you can ensure that your investment is the best decision for you and your family. Over the past few years, the demand for rental homes has increased, due to many factors, including an increase in foreclosures and fewer existing renters making the decision to buy. This has driven up the costs of renting a home tremendously. In fact, due to the dramatically reduced housing market prices and low interest rates, often times it can be cheaper to buy your home than rent one from someone else.There is no better time to buy a home and stop renting. Mortgage rates are some of the lowest we have seen in years, however, we cannot assume that they will stay at where they are or fall even more. It is crucial to take advantage of the opportunity now. Fannie Mae expects the 30-year fixed rate will hover around 5.2 percent by the fourth quarter of this year, then rise slightly throughout 2012 to 5.4 percent or so. The 2012 forecast is 5.7 percent, more than a full percentage point above where we’re at today. Right now is the time to buy. There are fewer serious buyers in the Atlanta real estate market than there was before the recession hit and the housing market plummeted. This is great news for anyone buying a home in the area because you are far less likely to find yourself in a bidding war today. It also gives you extended leverage with the current home owner that will allow you to negotiate more effectively. If you wait to buy it is possible that you could find yourself in a more crowded pool of buyers. Factors such as extremely eager sellers, historically low home prices and interest rates and less competition from other home buyers have come together to make this one of the best times in the history of the real estate market to purchase a home. This is truly a buyer’s market but nothing last forever, there are clear signals of recovery and demand will pick up. Being a little early and ahead of the real estate curve gives buyers more leverage. Stop wishing and call Paige Slyman to help you find the home of your dreams.